From Wilson dam to Wheeler dam is only a little less than 16 miles. Although a very small lake and a very short distance from dam to dam, compared to the 50 plus miles of other Tennessee River impoundment’s, this small lake has big rewards. Like the one received, by some fortunate angler that caught the world record smallmouth bass in the 50′s. Or the lady that caught a 13 pound largemouth bass, while fishing below Wheeler dam. 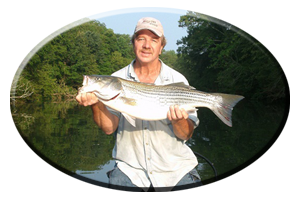 Or the many anglers that have successfully hooked and landed striped bass and catfish, in excess of 30 pounds. 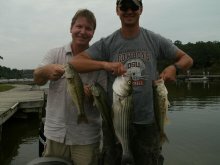 It also has an excellent bream population, an abundance of catfish, hybred-striped bass, white bass, and even a decent sized crappie population. 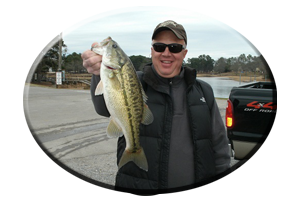 All of these, and other fish species, can be found while fishing the lakes lower end. Here, like other Tennessee River impoundment’s, the lake was backed up with towering rock bluffs, now flooded, years after impoundment. 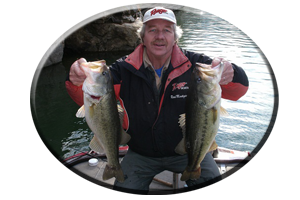 Small pockets, and main lake flats, in addition to the cooler, shady areas, found under piers, boat houses and overhanging rock bluffs, are all excellent spots to search out both the largemouth bass and smallmouth bass, during day and night fishing excursions, this summer. Not far from Wilson dam, on the lakes Northeastern shores is a feeder creek worth exploring this summer. Shoal Creek, spanned at its midsection by Hwy.72 bridge, shows nice catches of largemouth bass, smallmouth bass, stripers (and even crappie under the bridge at night with lights), even when its very hot. Across the lake, McKierman Creek is smaller, but does has deep water access and a good fish population. Hidden, underwater humps can’t be seen, but a good map will reveal these mid lake spots, anglers can find huge schools of bass bunched up in this summer. Just above Shoal Creek, are two feeder creeks named Six Mile Creek and Four Mile Creek. Scan a map and look out in front of these small feeders, at midlake, to discover humps that can be found with some depthfinder use. Town Creek, found on the lakes Southeastern side, is a good creek for finding a variety of fish this summer, all seeking the current and cooler mountainous waters found in this creek’s headwaters. As you enter this creek beware of floating logs and shallow, stump rows. The weedy islands in the creek mouth hold quality fish all summer. As do the many piers and boat houses found here. Look for surfacing fish, at the lakes headwaters this summer. Fishing below Wheeler dam in Wilson Lakes headwaters, anglers can encounter line stretching fish, when targeting surfacing or schooling activity on top. 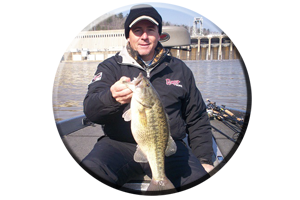 There is a lock to explore, rocky bluffs, rock islands and rip-rap lined banks, for targeting shallow fish found in the 5-10 foot range all summer. Feeder creeks in these lake headwaters are few. On the lakes Northeastern shores is Blue Water Creek. 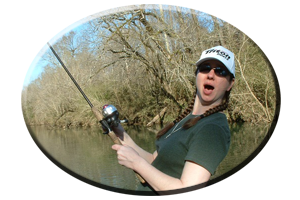 Log jams, creek flats, weed beds, rock bluffs, and piers, this small creek has it all for the versatile creek-fishing angler. The same goes for Big Nancy Creek, found on the lakes Southeastern side, near the dam. It has a twisting, winding creek channel, with 5-10 foot depths. Log jams, laying trees, stumps, brush piles, rock bluffs and a bridge that crosses midways of this creek, shows a lot of fish relating to a variety of cover, all throughout the summer months.